Let freedom ring this Independence Day while you spend time with good friends and enjoy good food. 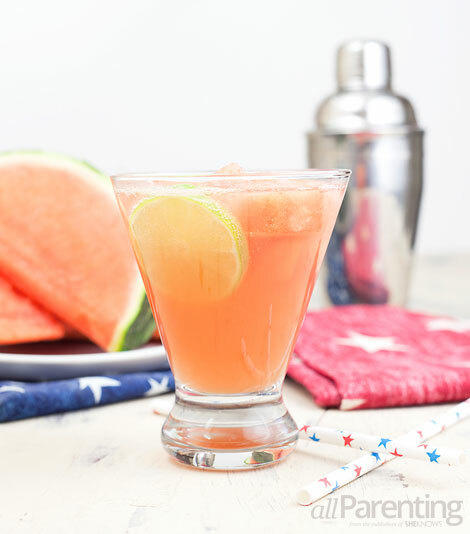 Just don't forget to include a few of these 4th of July cocktails to complete the festivities. 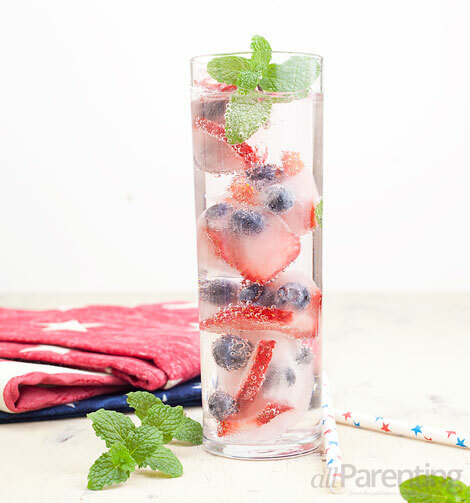 When we think of 4th of July cocktails, two things come to mind — red, white and blue colors and/or fresh fruit. So that's the theme we are going with for these patriotic cocktails. Invite your friends over and have fun celebrating America. To make the ice cubes: Divide sliced strawberries and blueberries into 5 or 6 ice cube tray squares. Fill with water and freeze until solid (this is best done the day before). To make the cocktail: Add mint leaves, lime juice and simple syrup to a cocktail shaker and muddle. Add white rum, fill the shaker with ice and shake. To assemble the cocktail: Add the fruit-filled ice cubes to a highball glass and strain the cocktail into the glass. Top with soda water, stir and garnish with a sprig of mint before enjoying. ^For another tasty mojito recipe, check out the watermelon mojito. Add 1/4 cup watermelon cubes to a cocktail shaker and muddle. Add lime juice, agave nectar and gin. Fill shaker with ice, shake and strain into a rocks glass filled with frozen watermelon cubes (or ice if you don't have frozen watermelon on hand). Top with soda water, stir and garnish with a lime wheel before enjoying. ^Serving a crowd? Try the watermelon lime sangria. 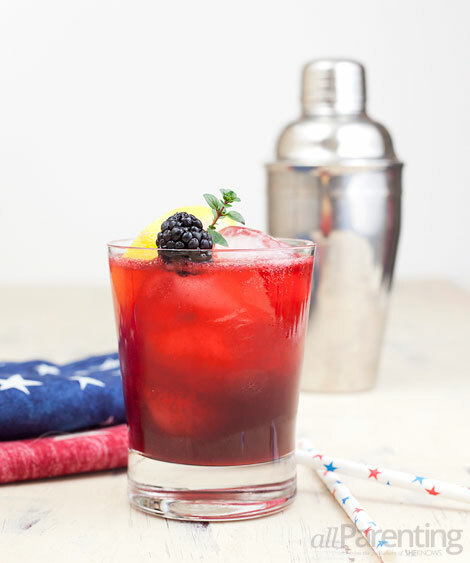 Add blackberries, lemon juice and simple syrup to a cocktail shaker and muddle. Add vodka and fill the shaker with ice. Top with soda water, stir and garnish with a slice of lemon, a blackberry and sprig of fresh herb if you have one on hand before enjoying. ^Blackberries are also great with gin in a blackberry smash cocktail. 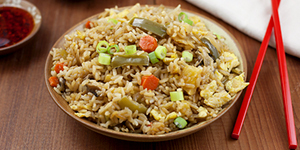 Looking for even more treats to serve at your 4th of July party? Check out these quickie red, white and blue tarts, summer Jell-O shots or this collection of red, white and blue foods.